Park(ing) Day 2007 in New York was a big success, with more than 20 temporary park installations throughout the city! Streetfilms has a great piece that shows most of the locations; if I hadn’t been hanging out in the grass at Cortelyou Rd. Park my first choice would have been to spend the day at 1st St. B.C. (Before Cars) with the Lower East Side Girls’ Club, sipping on one of their bicycle blender smoothies! Seeing pre-schoolers participating in an outdoor music class — in a parking space — on Brooklyn’s busy Cortelyou Rd., you definitely get the feeling that Park(ing) Day has, in just a few short years, transformed from a quirky art activist event into the beginnings of a broad-based grassroots movement with meaningful social and political implications. On Friday, Park(ing) events were set up in about 150 spots across 42 U.S. cities along with events in five or six other countries, according to the Trust for Public Land. In PlaNYC 2030, the Bloomberg Administration said that it wants to build a park within 10 minutes walking distance of every neighborhood in the city. 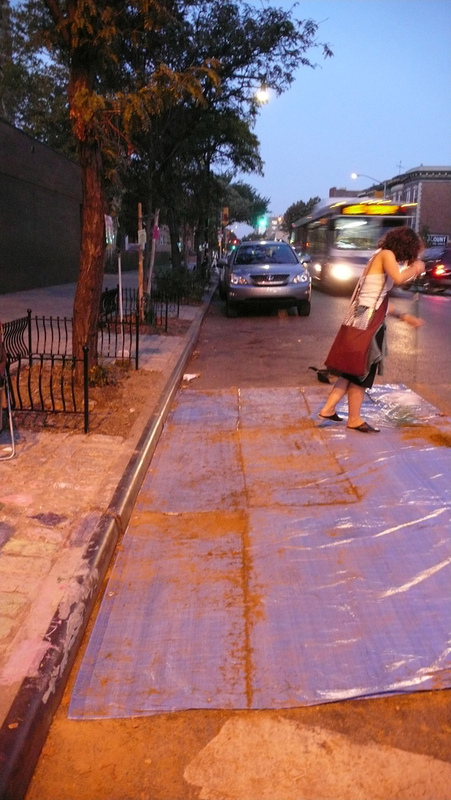 On Friday, a bunch of New Yorkers went out and began implementing that plan, simply by turning on-street parking spaces into pocket parks and public plazas. Many Park(ing) Day visitors mentioned to me how much we need more open space and greenery that everyone in the neighborhood can enjoy; hopefully having Cortelyou Rd. Park for one day has inspired people to imagine ways of making that happen. More photos at our Flickr album here. Thanks to everyone who visited the park!